It’s been two weeks since the launch of my latest side project - LaravelCollections.com. The response I have been getting from the users is generally positive. Going through user emails and feedback motivates me to put in more time and effort into making the site better. I had some time last week and I worked on some of the common suggestions I had from users. I want to update you on the changes here. That’s all I have to share about LaravelCollections.com. I will update when something major changes to the project. 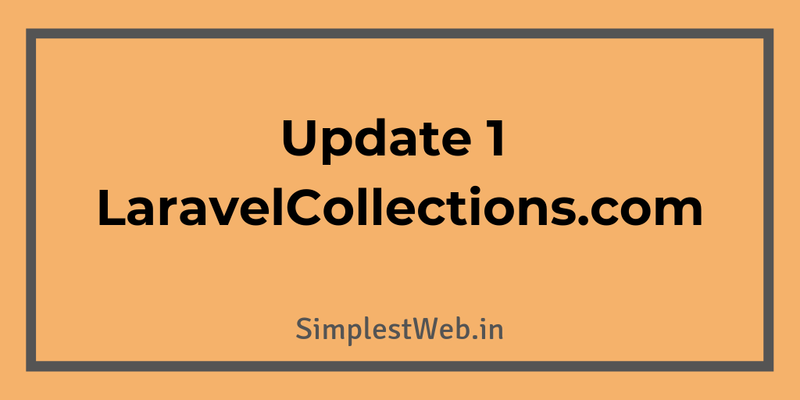 If you have any feedback or suggestion, do drop an email to - laravelcollections@gmail.com.